WILL THE SUPREME COURT STOP COPS FROM READING YOUR TEXT MESSAGES? If you're like many Americans, your cellphone is overflowing with personal information—text messages, emails, photos of your friends and family, an organized history of who you've been calling, private notes, automatic login to your Facebook and Twitter accounts, your favorite music, and even maps of where you like to run around your house. And if you're anything like Mother Jones staffers, you probably keep your cellphone on you at all times. If I'm arrested on my way home from work (probably for eating on the Metro), you can bet that my smartphone will be in my pocket or my purse. And in Washington, DC, as well as most states across the country, the law won't keep the arresting officer from taking my phone without a warrant, rifling through my text messages, copying the data for later use, and even breaking my password to do so—all things that would most likely be illegal if the officer went to my office and did them to my work computer, instead. So, why are police allowed to search my cellphone without a warrant? The Fourth Amendment is supposed to protect Americans from being searched by police without a warrant—but there are exceptions, one of which kicks in as soon as you get arrested. If you've got cuffs on, even if you did nothing wrong, your rights now fall under the "Search Incident to Lawful Arrest Doctrine." That means that the cop arresting you doesn't need a warrant to search anything in close proximity to your body. The reason this exception exists is to keep law enforcement officers safe—say, if a suspect has a cigarette pack inside his shirt that could be mistaken for a gun—and to stop suspects from destroying evidence on the scene of the crime (like this alleged bank robber, who appears to be eating his hold-up note). A court ruled in the 1970s that an item—in this particular case, a footlocker in a car trunk that contained marijuana—couldn't be searched without a warrant once it had been taken away from the scene of the arrest. But as the Electronic Freedom Foundation notes, there still isn't a decisive ruling as to whether this applies to smartphones. The way the law stands now in most states, police can take your cellphone, read your messages, and even copy data for a search later, citing the fact that you may be able to delete it remotely. So could a cop search my computer without a warrant under this same logic? Probably not. In order to go into your home and search your computer without a warrant, police need to have probable cause that you're about to destroy important evidence from your hard drive, or have your consent. And Linda Lye, a staff attorney for the American Civil Liberties Union (ACLU) notes that "no court would say an officer can come search your home, without a warrant, because you've been arrested." However, if you're holding your computer when you get arrested or its in your car, it might be seized so that you can't potentially destroy evidence (and if you're at a US border, all bets are off, privacy-wise). 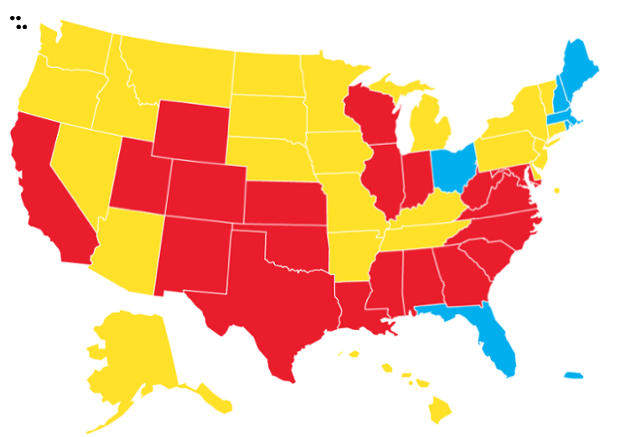 In which states are these cellphone searches legal? When have these warrantless searches happened? Lots of times—here's a brief review of 14 cases that have made it to court in the last six years alone. And not all the cases have to do with hard crimes. In 2012, a man who was protesting a proposed city law in San Francisco by pitching a tent and sleeping outside was arrested for loitering. Even though police already had evidence of his crime (i.e., the tent), they allegedly began to read his text messages, which included sensitive information and contacts that could affect his future lobbying efforts on the proposal. What happened in the two cases that are facing the Supreme Court? In 2007, Boston police nabbed Brima Wurie for allegedly engaging in a cocaine deal at a convenience store. After he was booked at the station, the officers noticed that the phone they had seized from Wurie was receiving calls from a number identified as "my house." They then looked at his call log without a warrant and used that information, as well as a photo of what appeared to be his girlfriend, to find his home. They then searched his residence, obtaining additional evidence that was used to charge Warie. 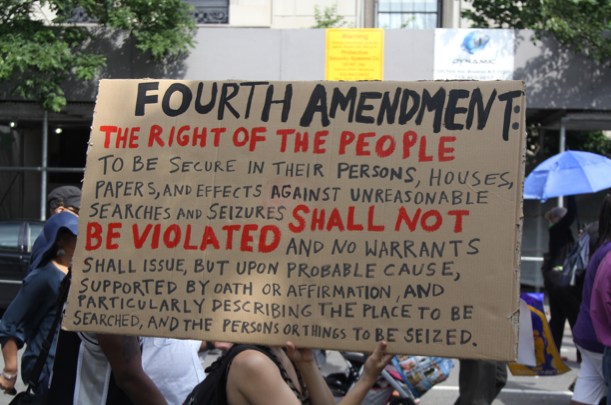 The US Court of Appeals for the First Circuit found that in this case, the officers violated the Fourth Amendment. The second case, Riley v. California, deals with David Riley, who was stopped by officers because the tags on his car were expired—but his cellphone was then seized and searched, revealing that he participated in a 2009 gang shooting in San Diego. 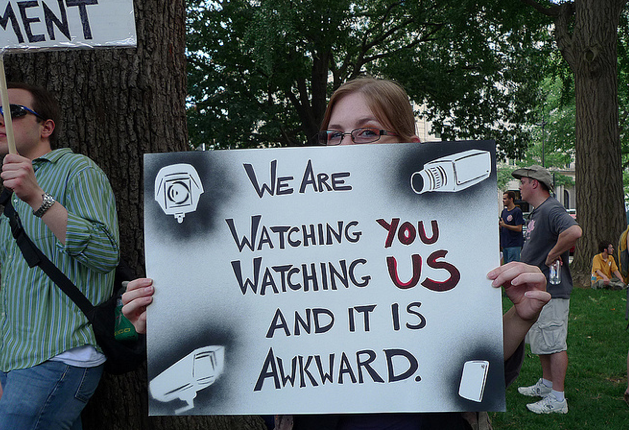 The California Supreme Court ruled that case was not a violation of the Fourth Amendment. What's the legal argument against these searches? Weighed against the significant privacy implications inherent in cell phone data searches, we view such a slight and truly theoretical risk of evidence destruction as insufficient. While [evidence preservation measures, such as removing a phone's battery] may be less convenient for arresting officers than conducting a full search of a cell phone's data incident to arrest, the government has not suggested that they are unworkable, and it bears the burden of justifying its failure to obtain a warrant. The case where the San Francisco protester had his cellphone seized, described above, uniquely argues that the searches violate the First Amendment; because cellphones contain valuable contact information for assemblies and protests. My phone is locked, so this won't happen to me…right? It could. While it's illegal for officers to compel you to give up information that could lead to incriminating evidence; Linda Lye from the ACLU argues that "the courts are still struggling with the issue on whether you can compel someone to provide a password to a cellphone." And Ryan Radia, writing for Ars Technica, notes that "once [police have] lawfully taken the phone off your person, they are free to try to crack the password by guessing it or by entering every possible combination." Law enforcement definitely has the capacity to break cellphone locks—CNET reported in 2012 that major tech companies have been helping police bypass lock pages on cellphones for years—and many police departments have forensic extraction devices that can obtain data from computers and cellphones. Why do law enforcement say these searches are necessary? Ron Cottingham, president of the Peace Officers Research Association of California, argued in a US News and World Report op-ed earlier this month that not all people under arrest are going to have their cellphones searched without a warrant. Instead, "in cases involving human trafficking, sexual slavery and narcotics, the contents of these devices can prove to be [invaluable.]" He also notes that "for those who choose to disobey our laws, they must understand that their actions could result in the loss of the privacy they enjoyed." What are the chances of the Supreme Court actually hearing these cases? Alan Butler, appellate advocacy counsel for the Electronic Privacy Information Center, says, "It's very likely that the Supreme Court will grant certiorari and review the issue (either in Riley or Wurie). If the Court does not take one case, it will likely take the other." Laurie Levenson, a professor at Loyola Law School in Los Angeles argues that, "I think this issue will make it up to the Supreme Court, however, the court often waits to see how the circuit courts work out the issue, so I don't think that Riley or Wurie will necessarily be the cases that go all the way." The Supreme Court should issue its decision within the next month.